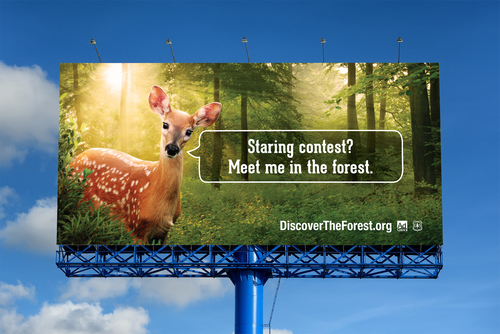 The forest gets super excited to see new visitors. One trip, and you’ll come alive too. Experiential: We set up interactive games including staring contests, rock skipping, and balancing on a log. Each one helped kids learn something new about the forest, including where to find one near them. Digital: The gaming experience continued online.